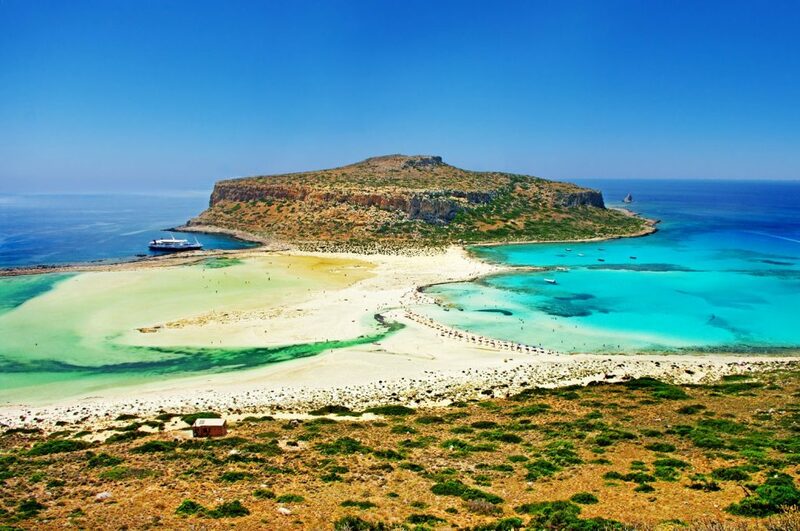 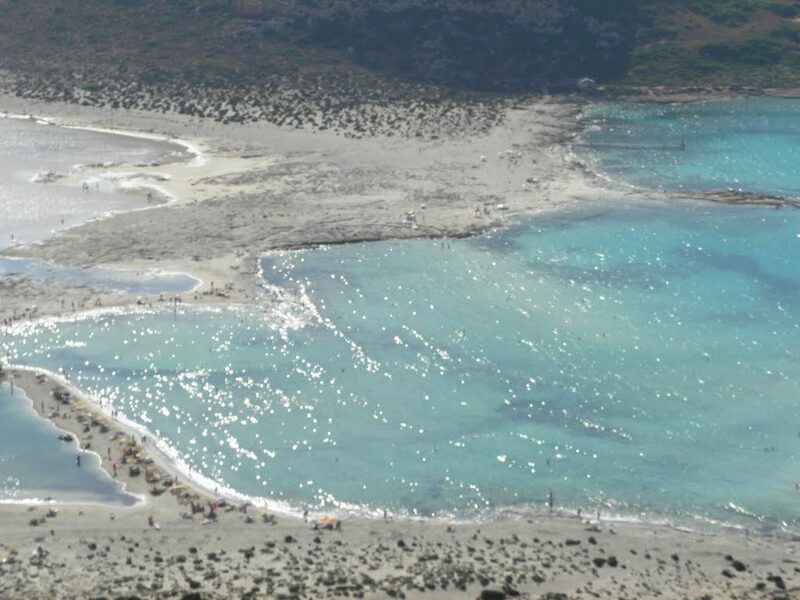 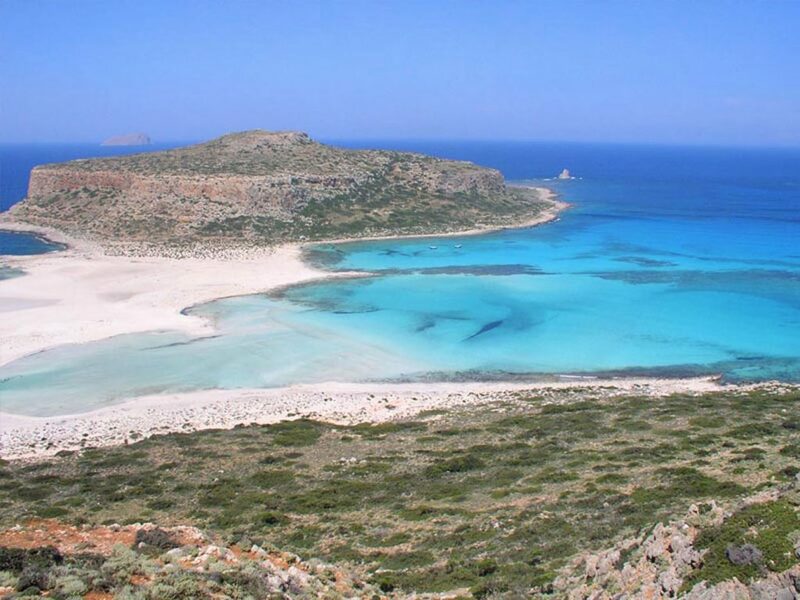 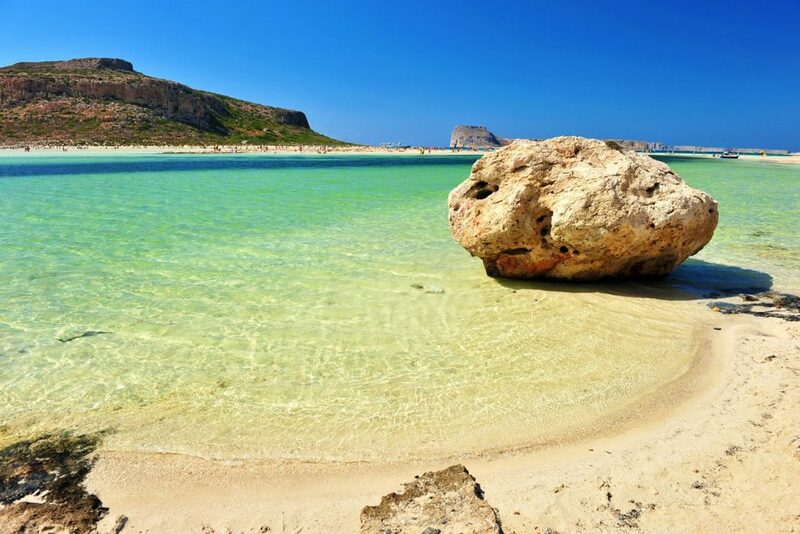 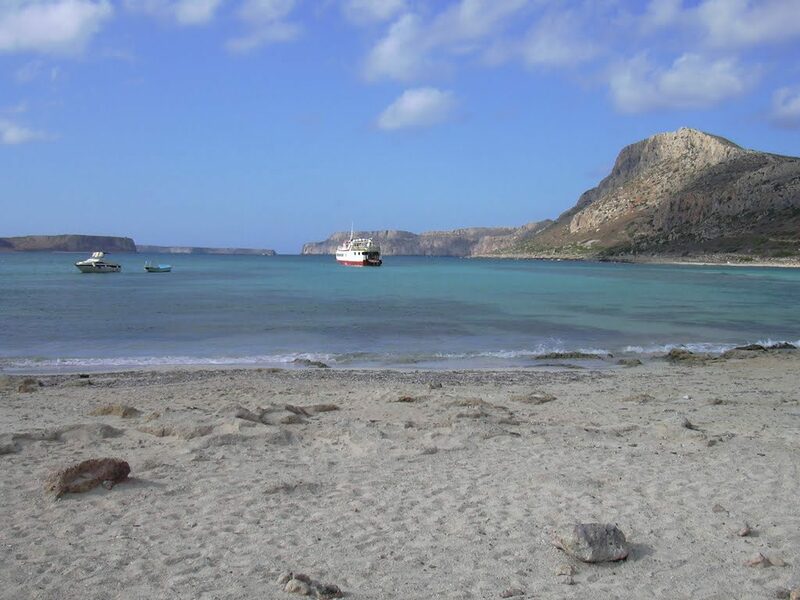 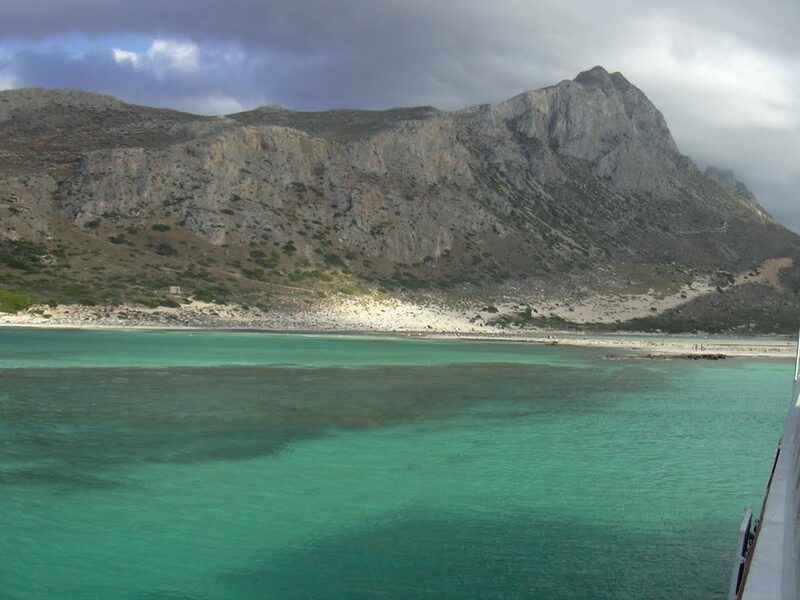 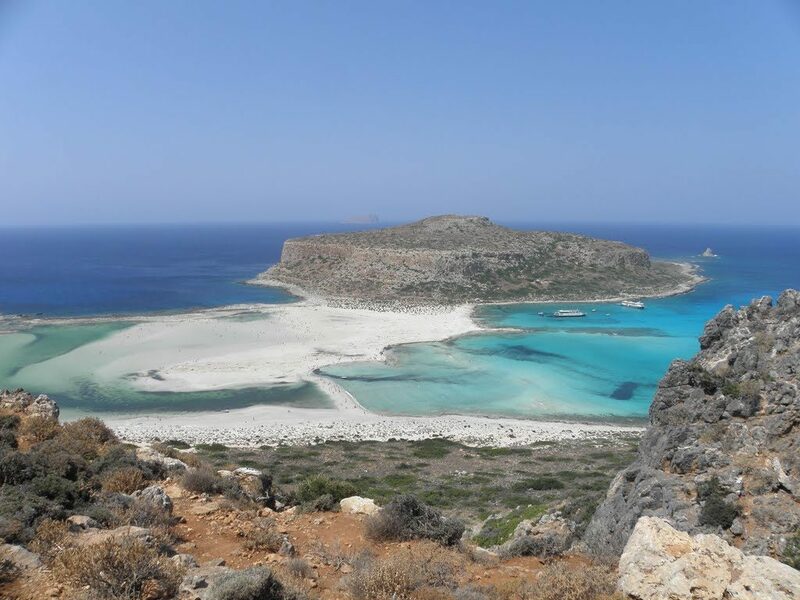 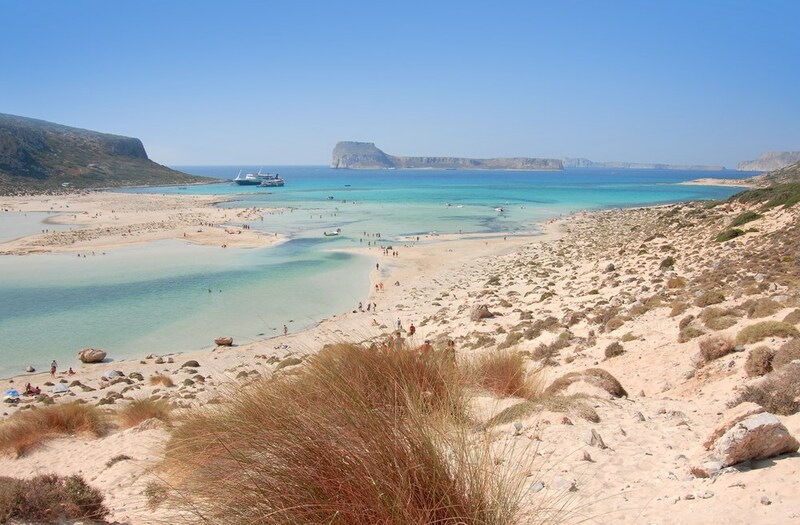 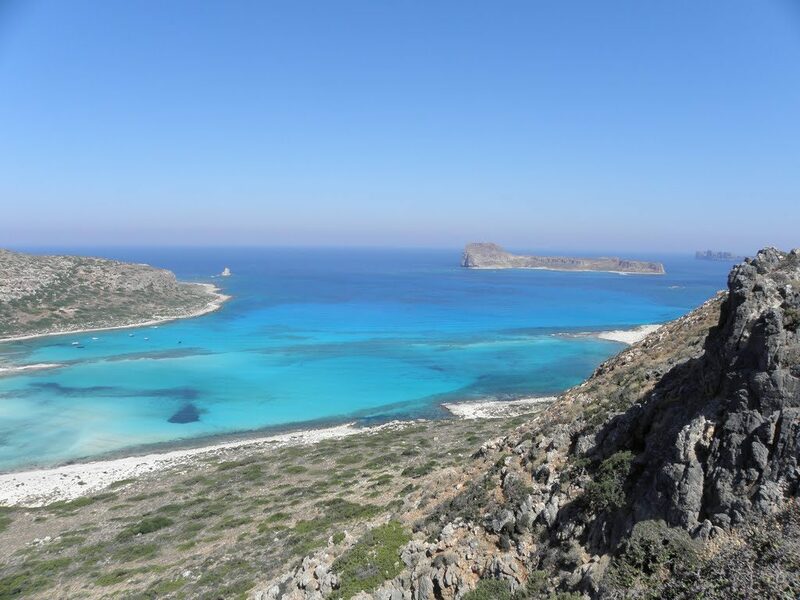 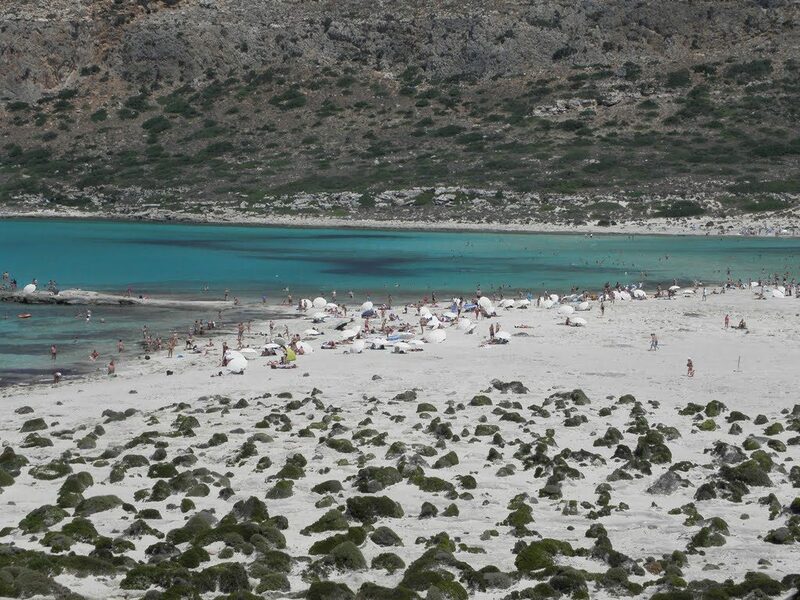 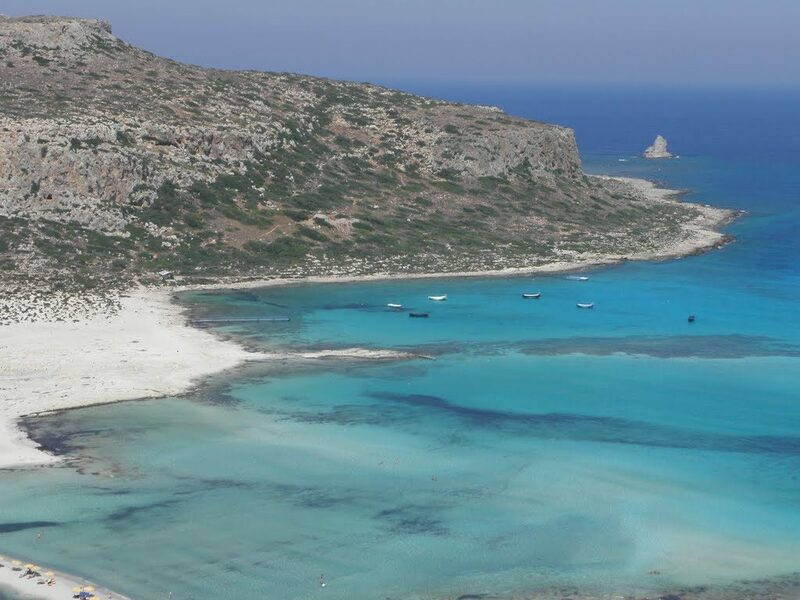 Balos is among the most beautiful coasts of Crete and the whole country. 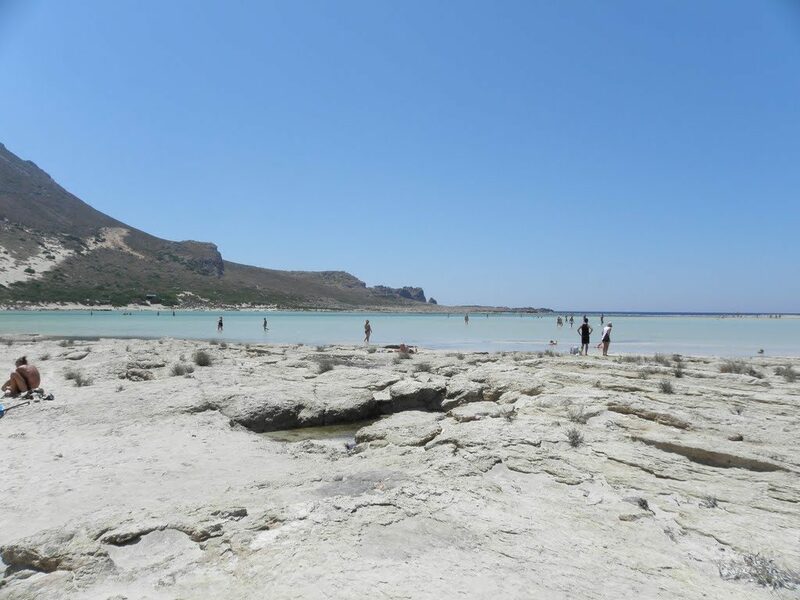 It is formed by a massive rock situated in the sea and is connected to the mainland by a sandy peninsula , thus creating a huge beach with white sand! 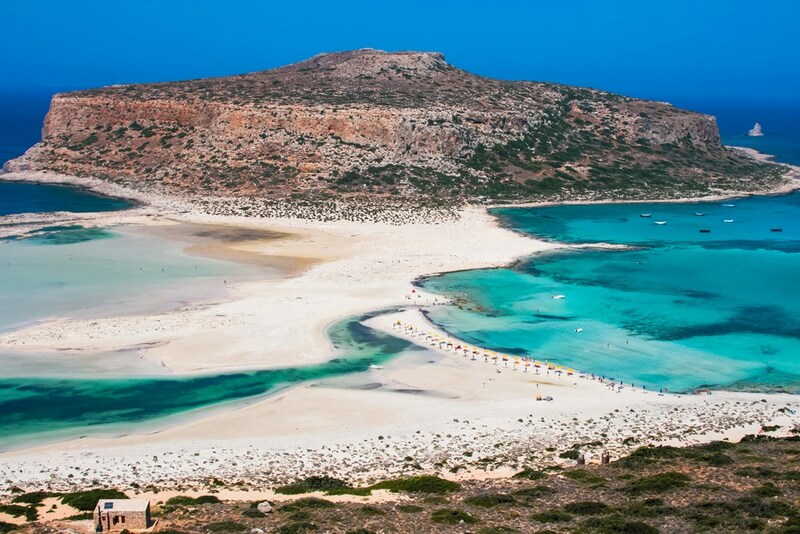 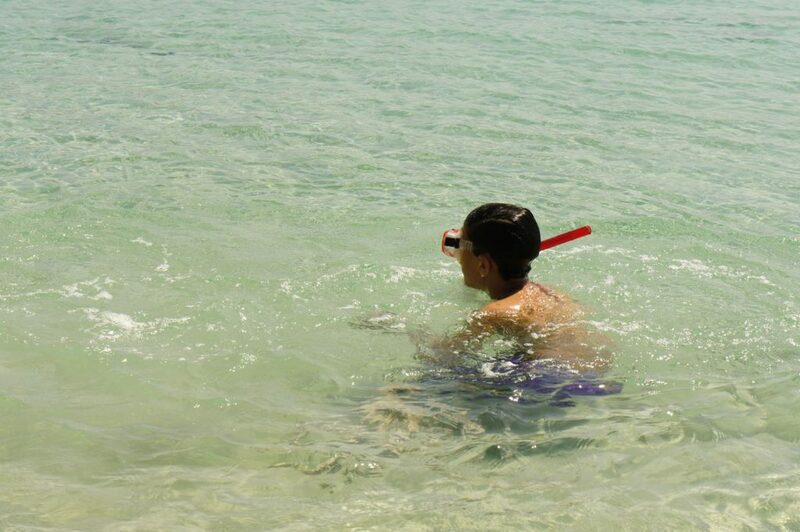 The shallow waters of the lagoon of Balos are either blue or turquoise. 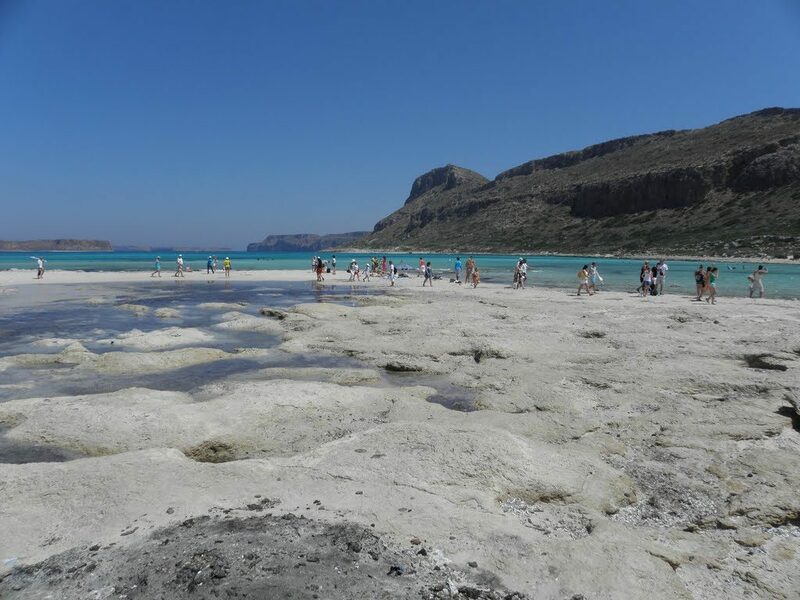 Everywhere there are small shells that make the sand, looks pink… The rocks give a special touch to the landscape. 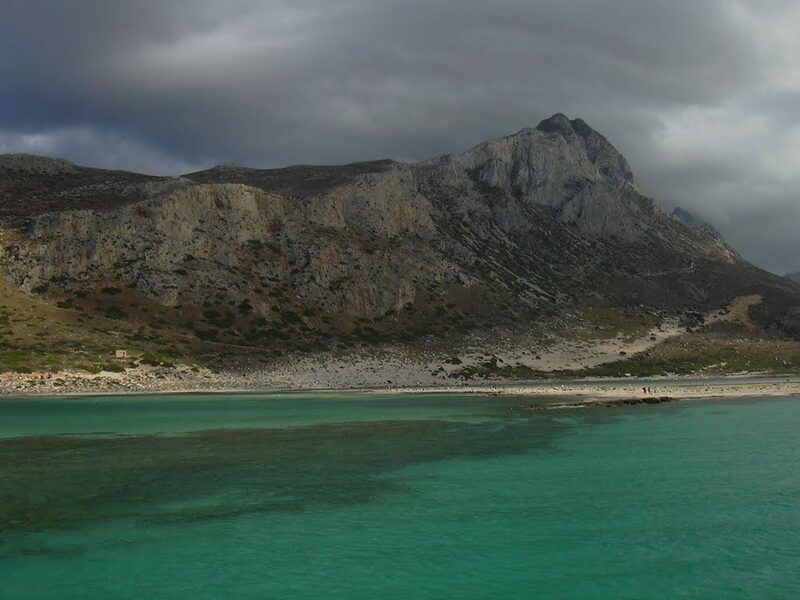 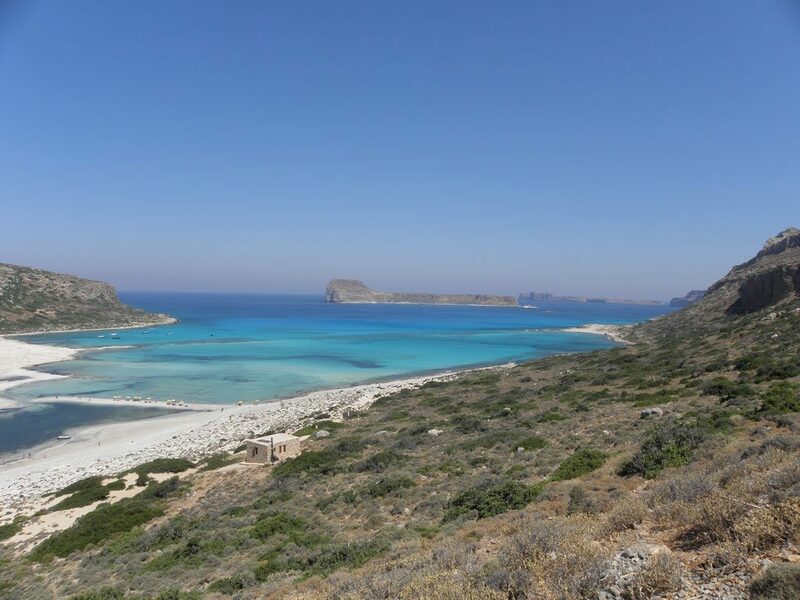 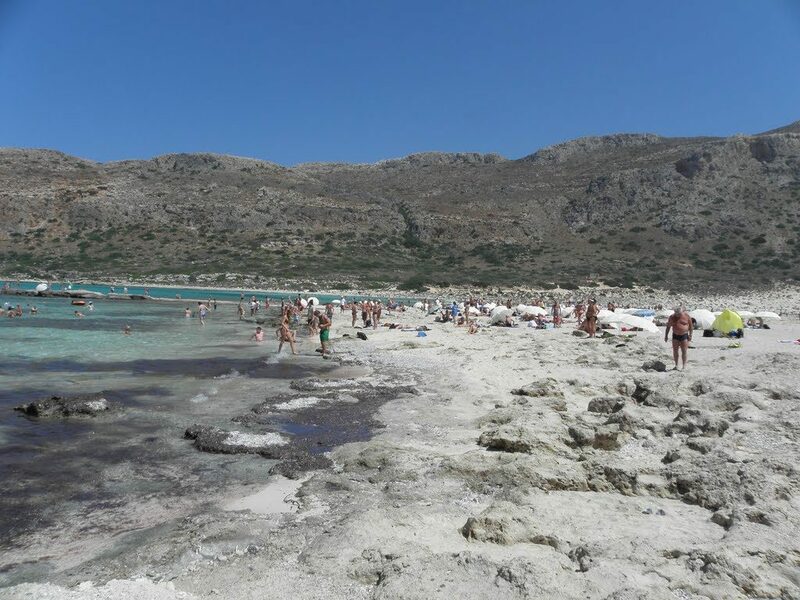 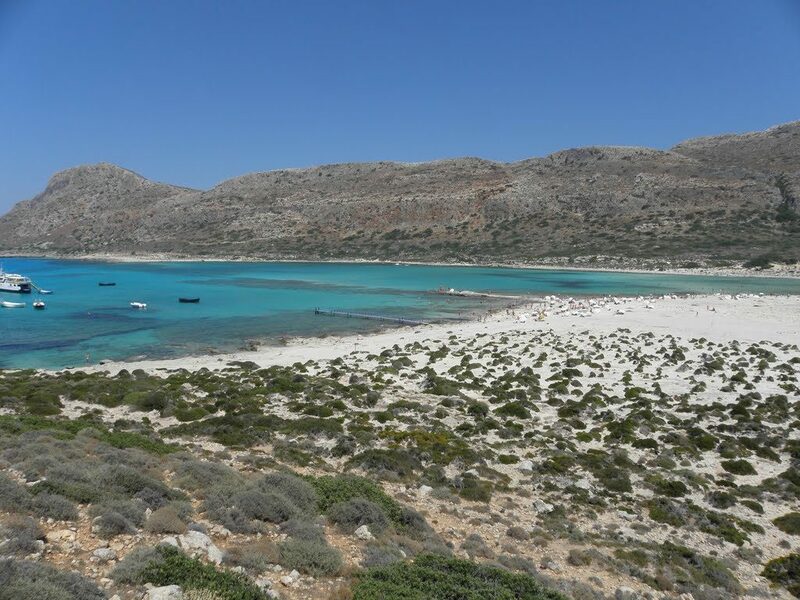 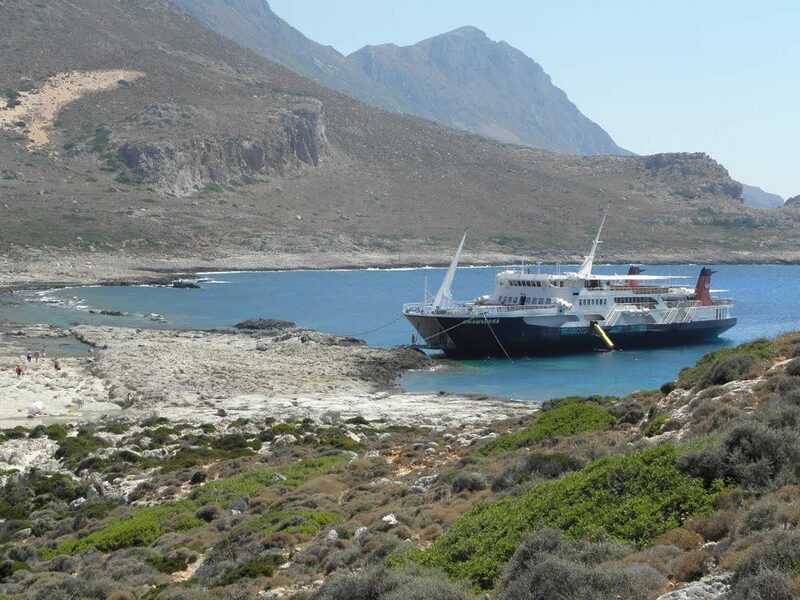 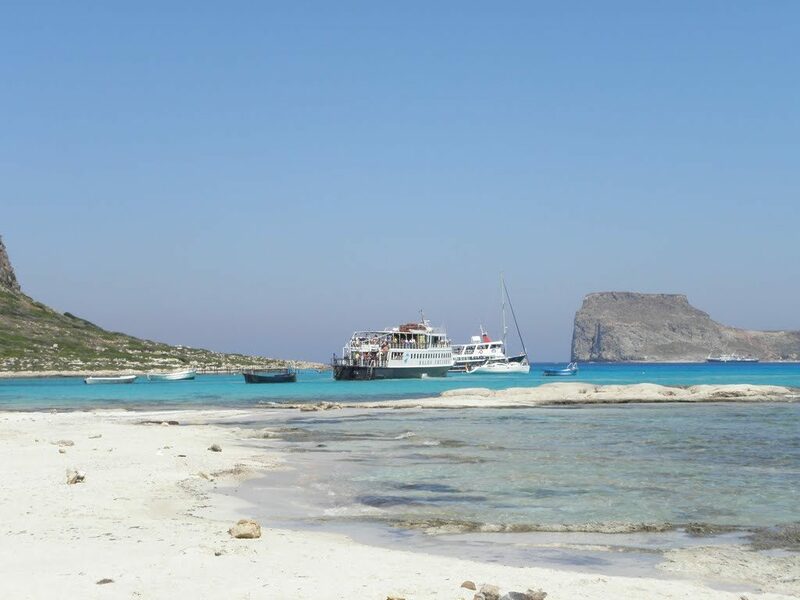 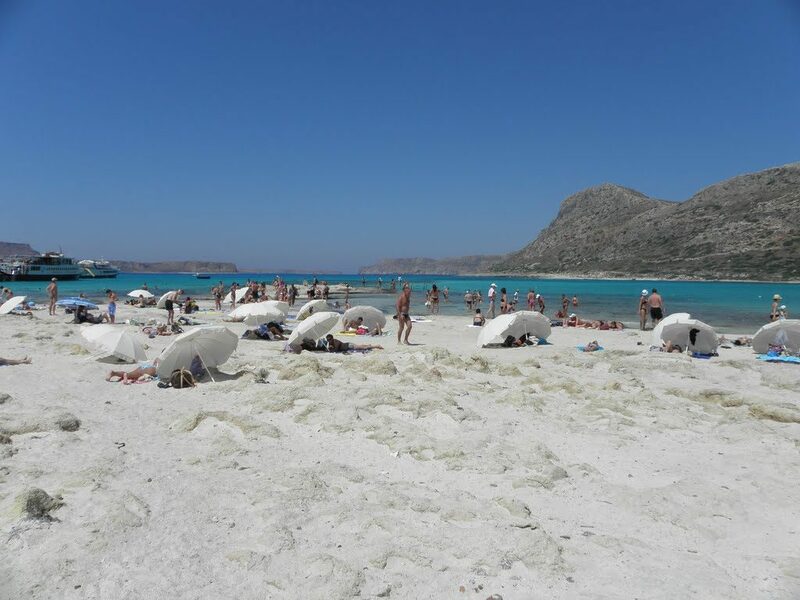 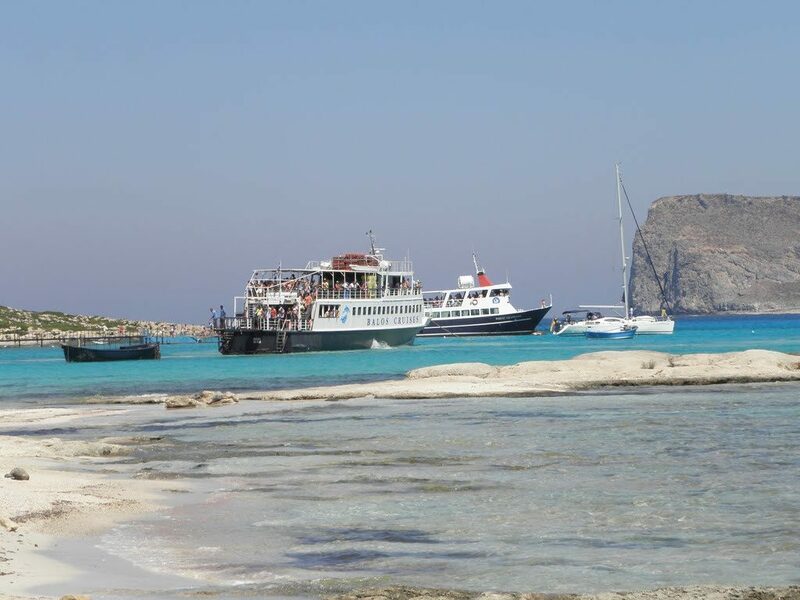 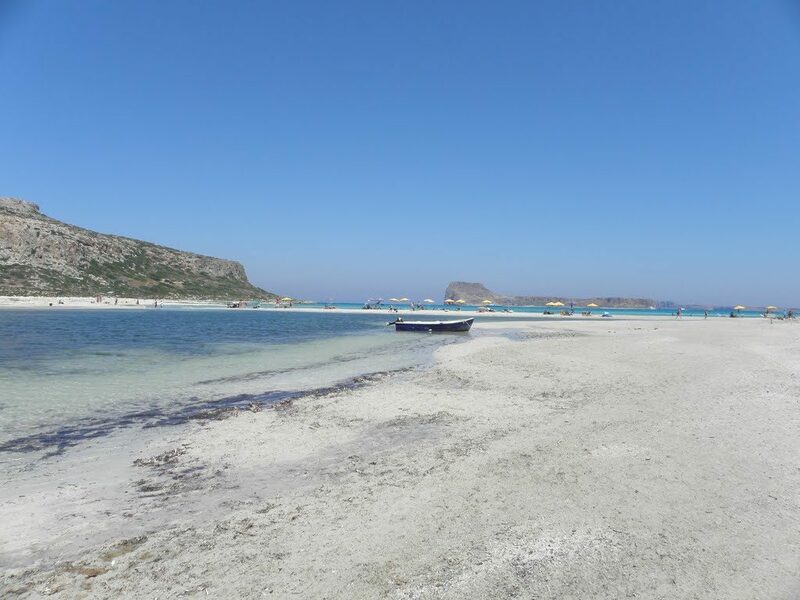 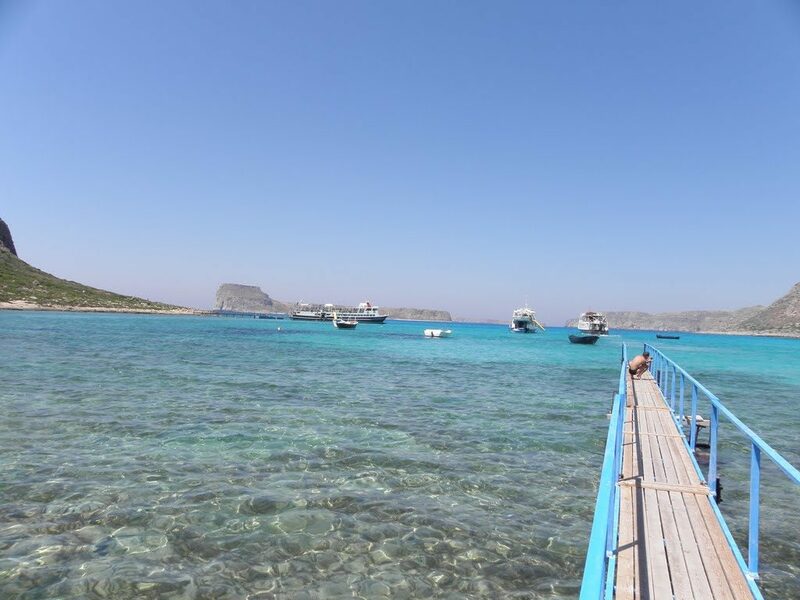 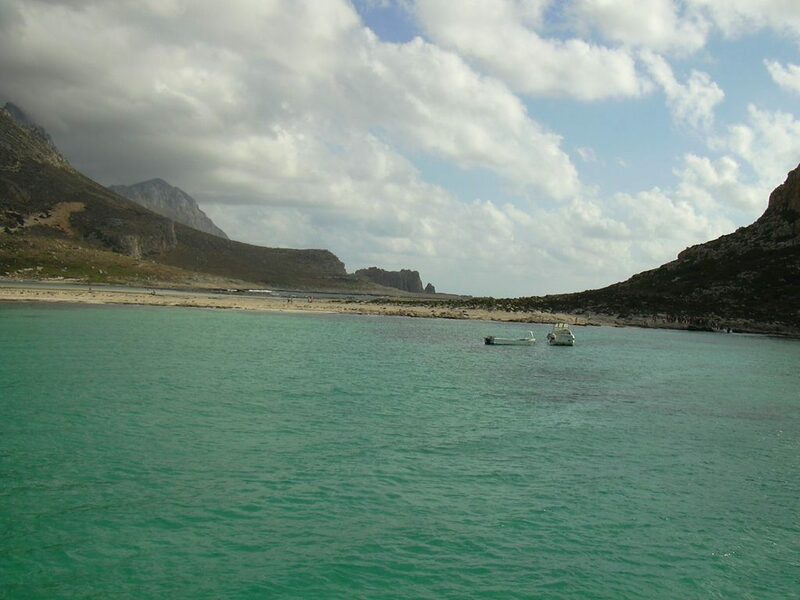 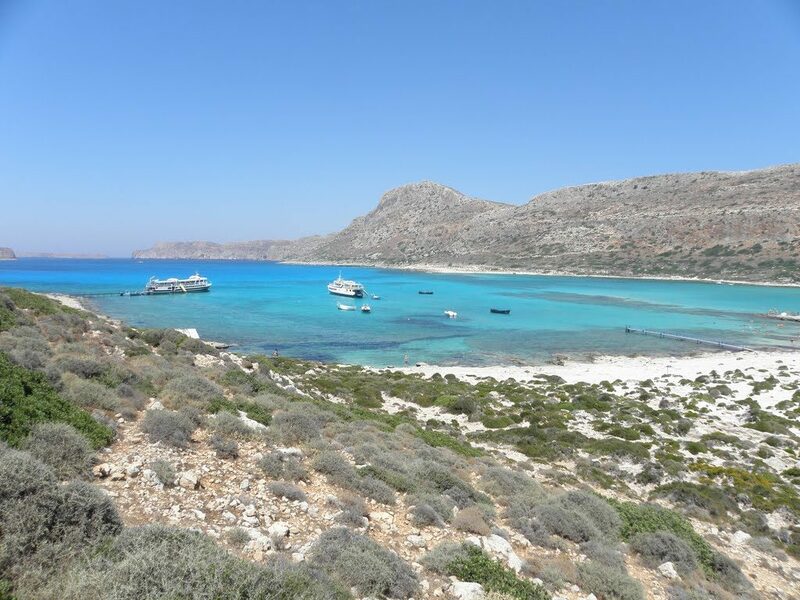 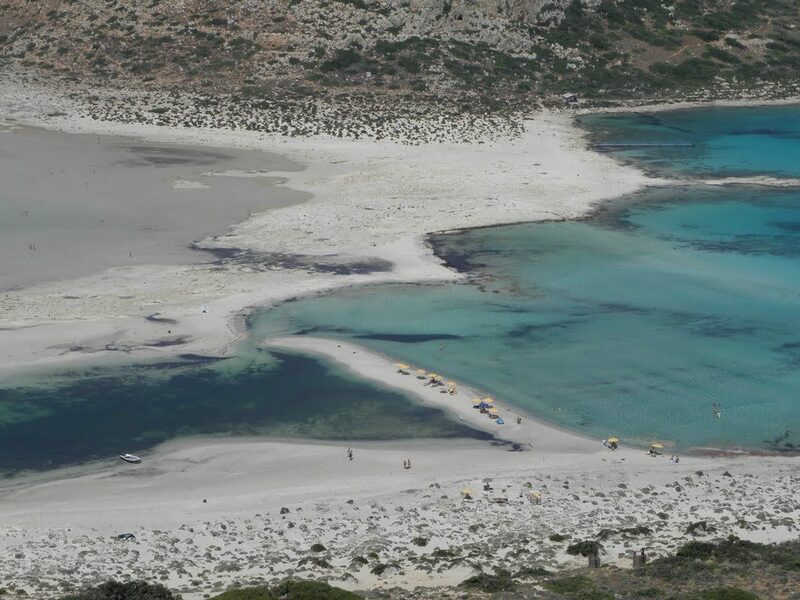 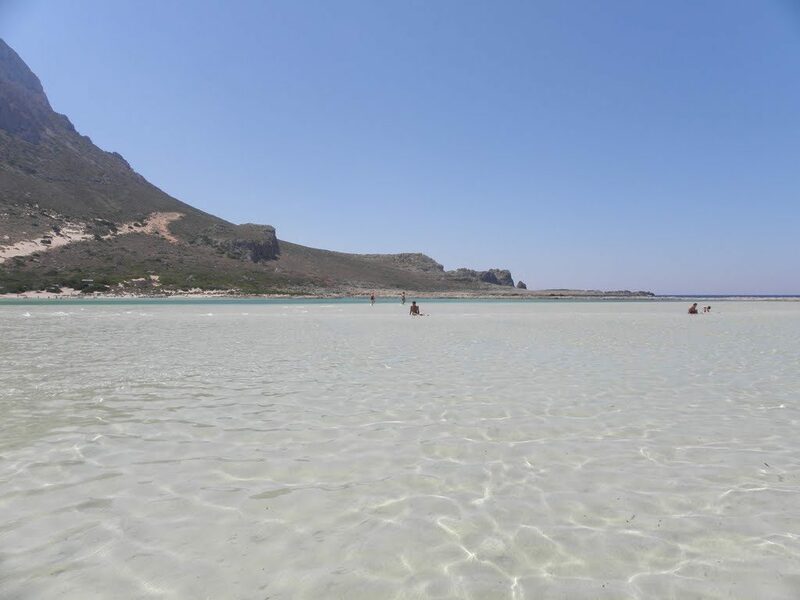 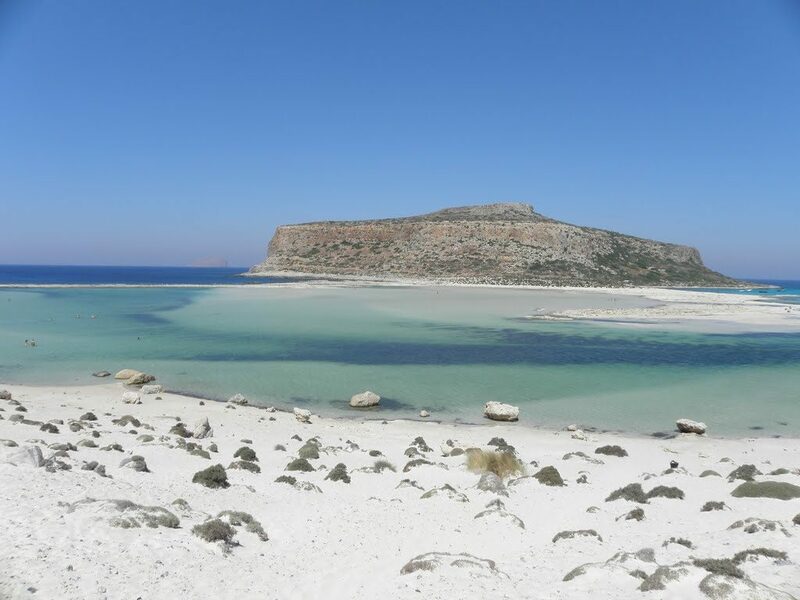 Balos is in the southwest part of the prefecture of Chania in cape of Gramvoussa, just 17 ​​km away from Kissamos.It is always crowded at summer and people come there mainly by boat from Kissamos since this is the easiest way to get there. 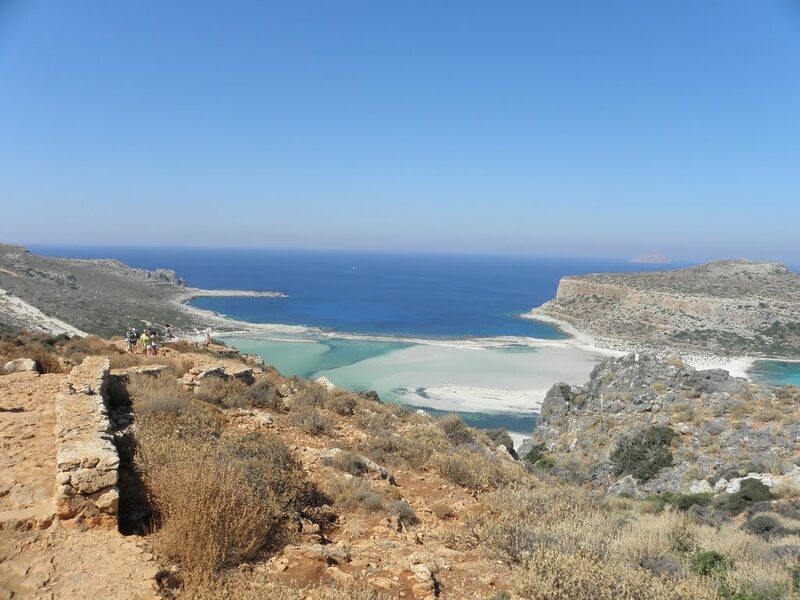 If you have a suitable car, you can follow the dirt road that starts from Kalyviani and reaches to the edge of the mountain above Balos. 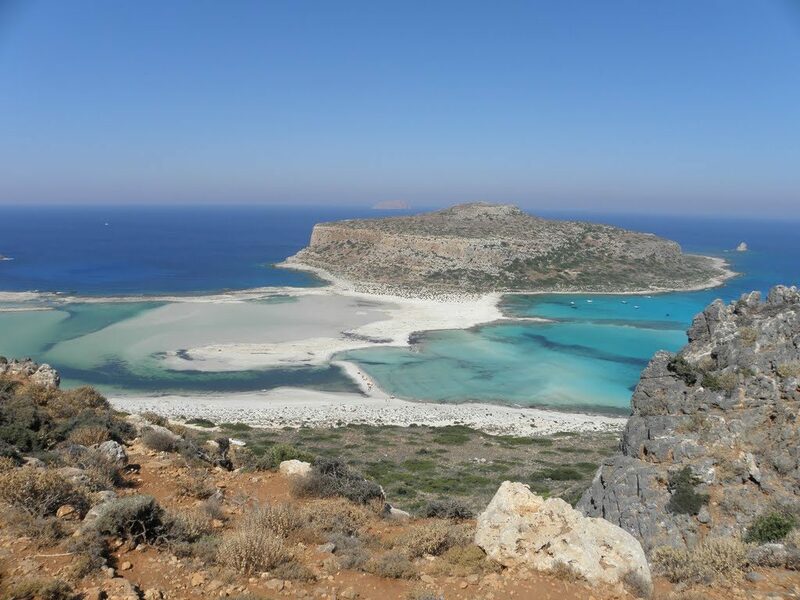 The view above of Balos will fascinate you. 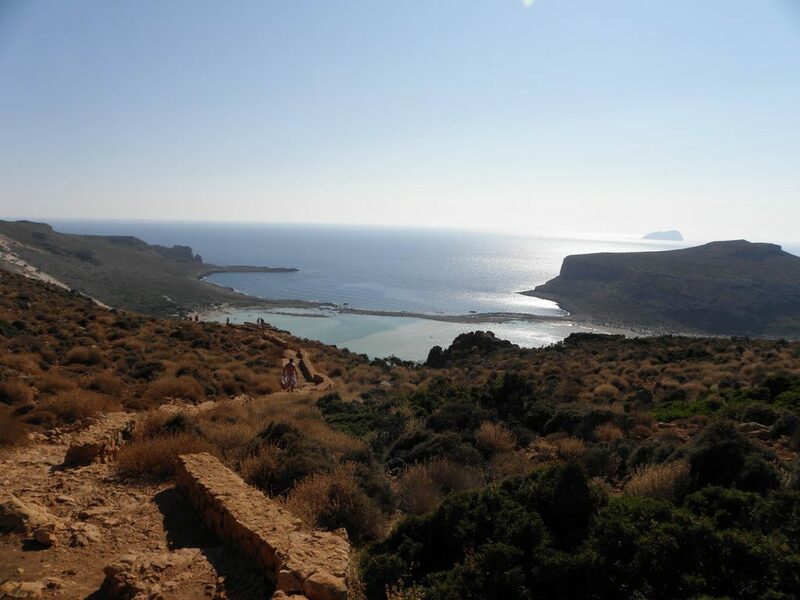 From there you need to walk down the stone path to the beach. 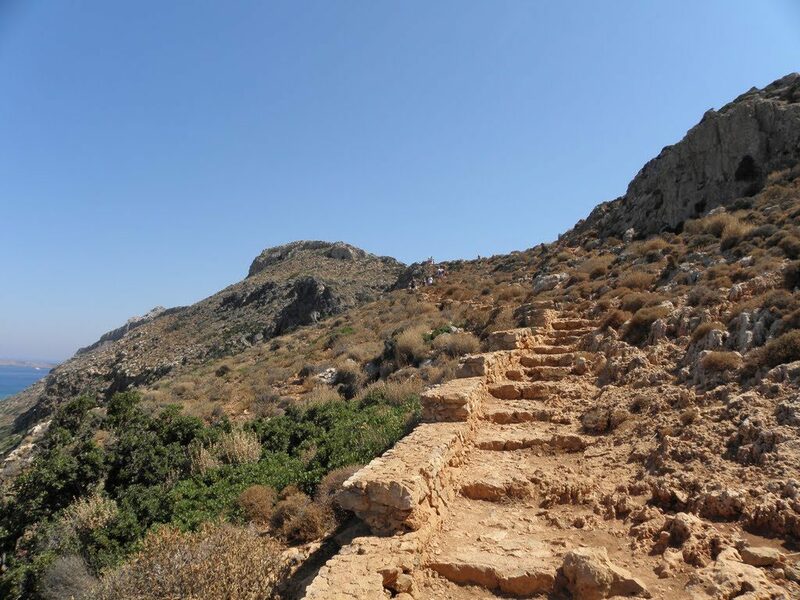 The descent is easy, but the ascent will be a little tiring! 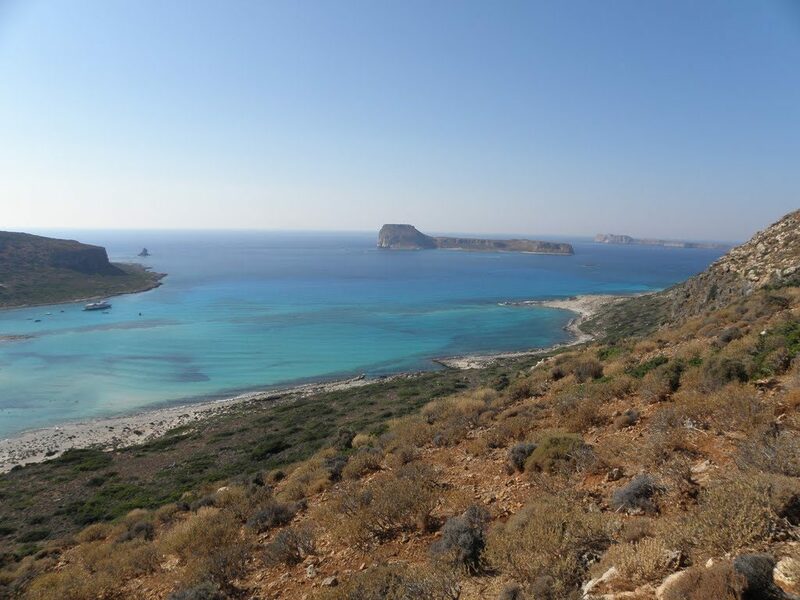 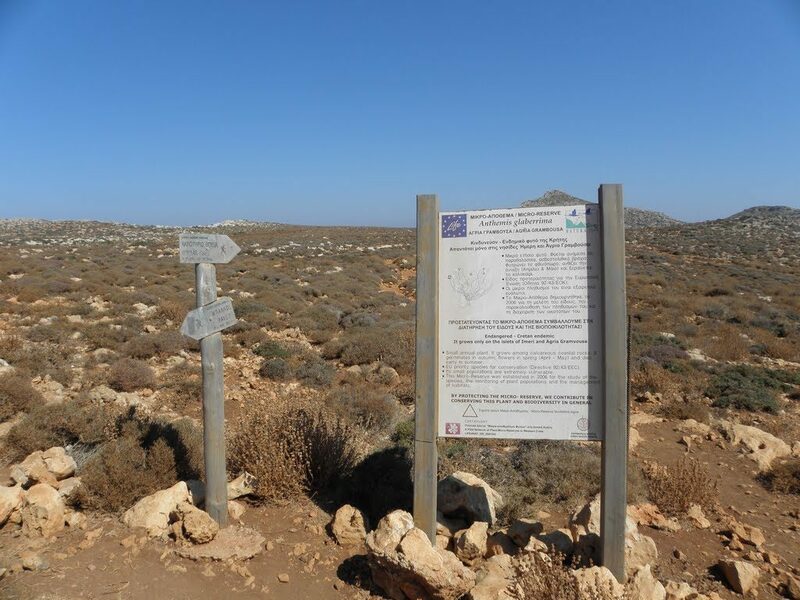 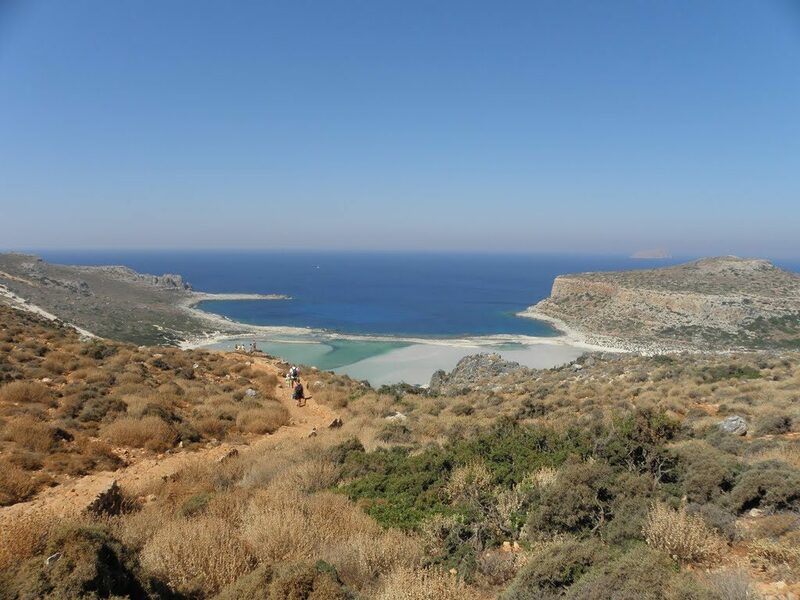 To get to Balos you can also walk the path of Kalyviani. 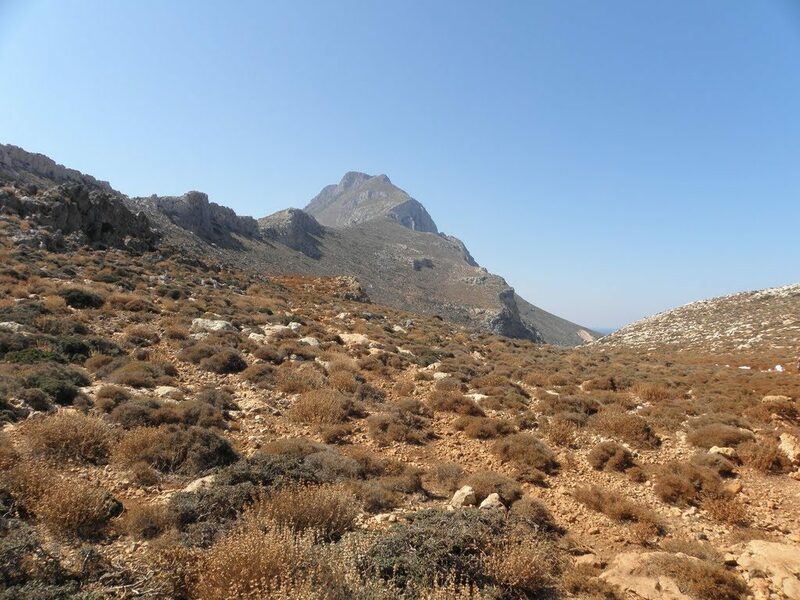 It is a path in wild Cretan landscape, lasting about three hours and you will definitely need a hat and water. 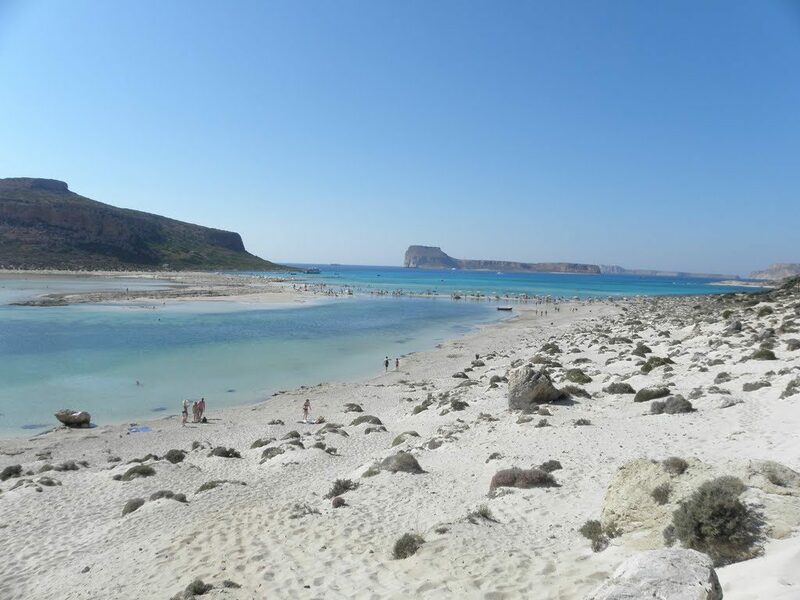 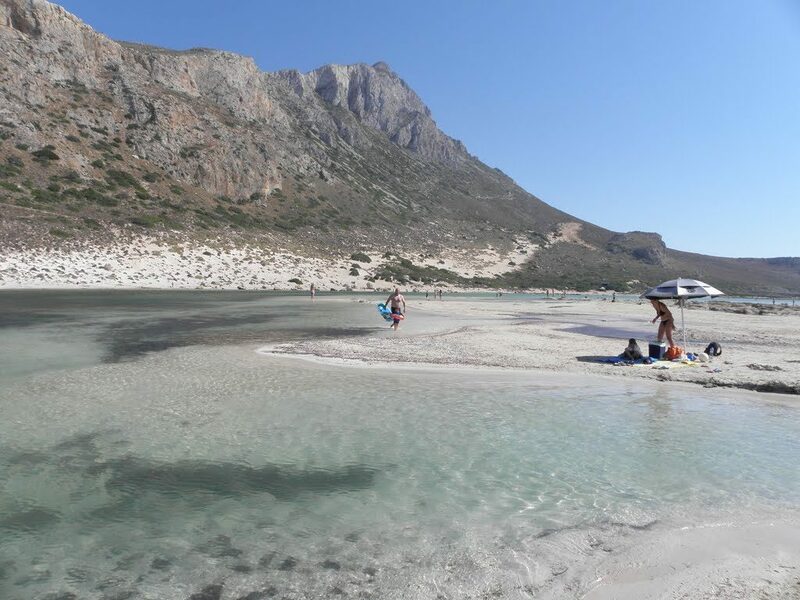 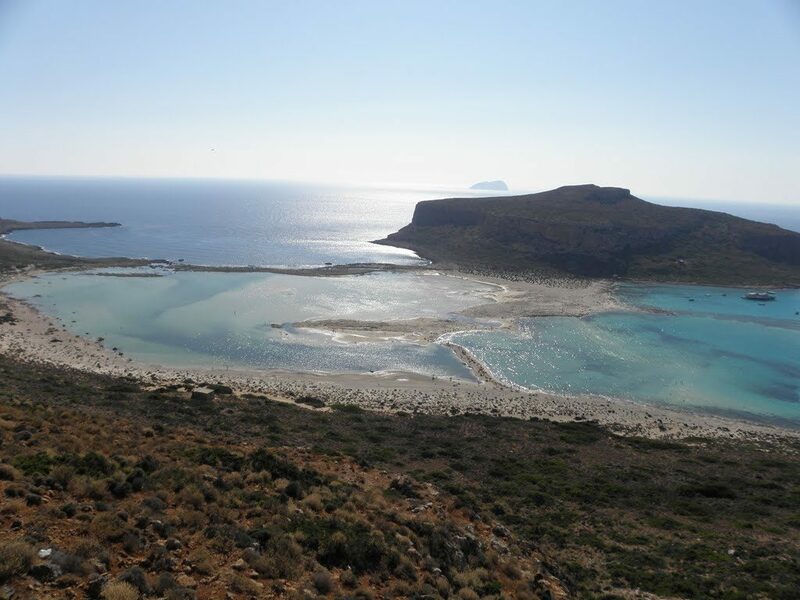 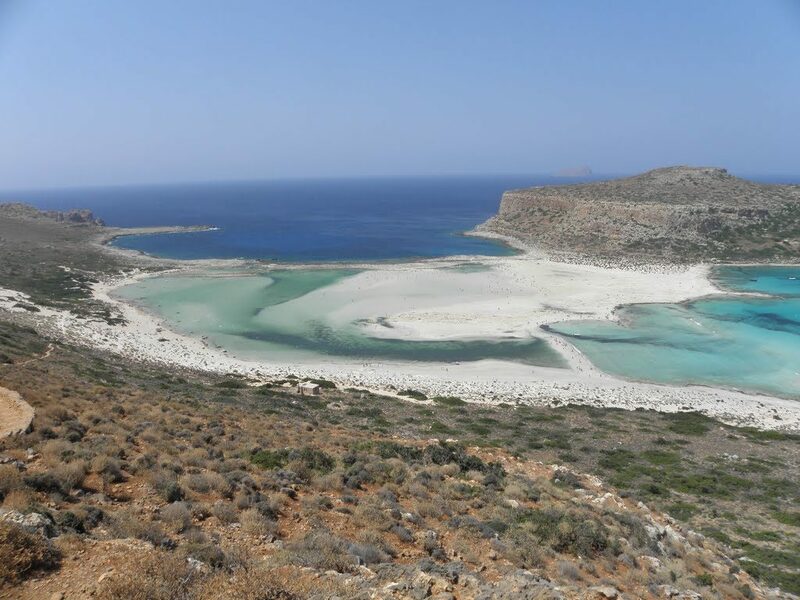 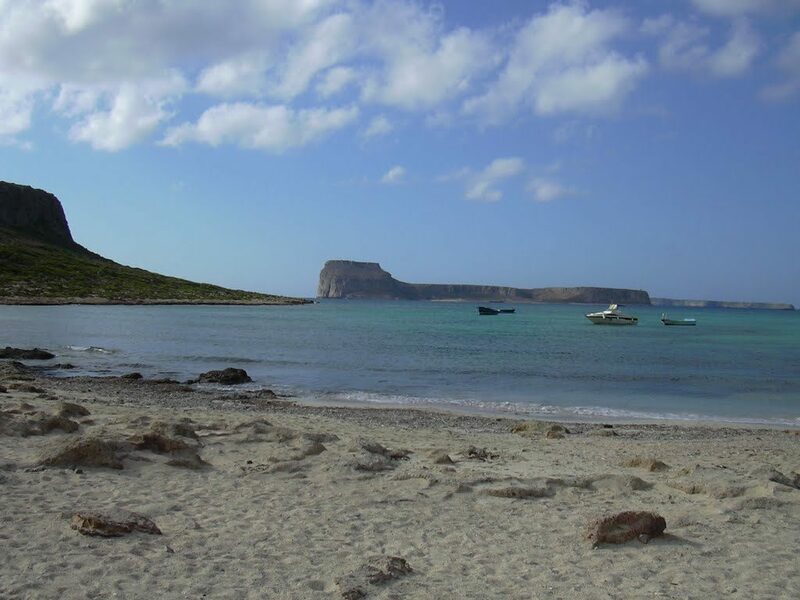 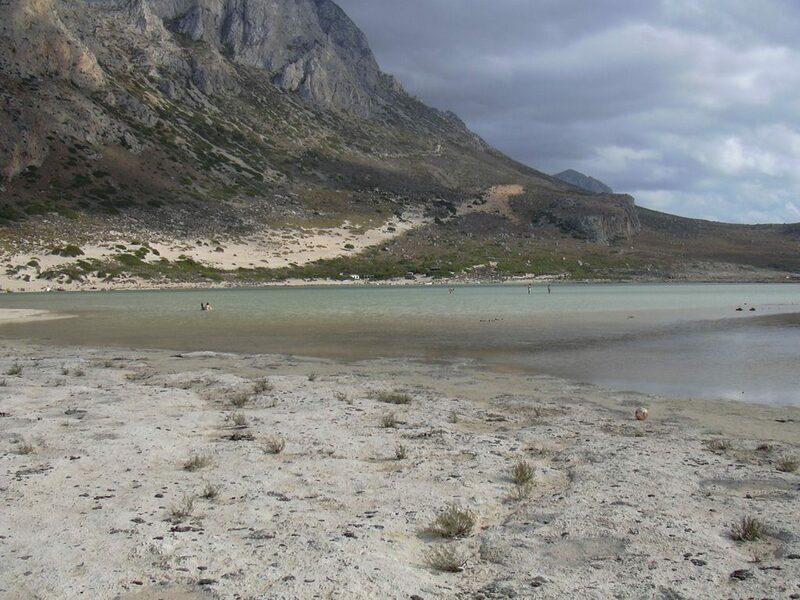 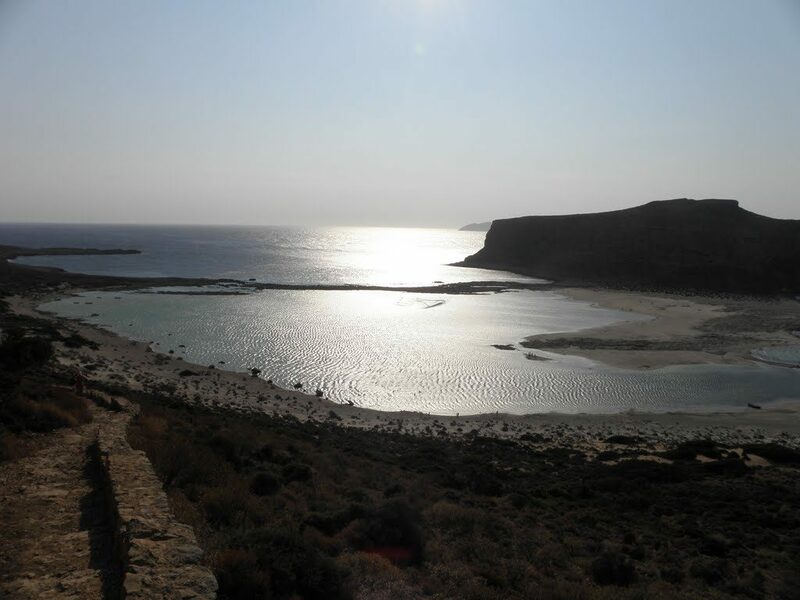 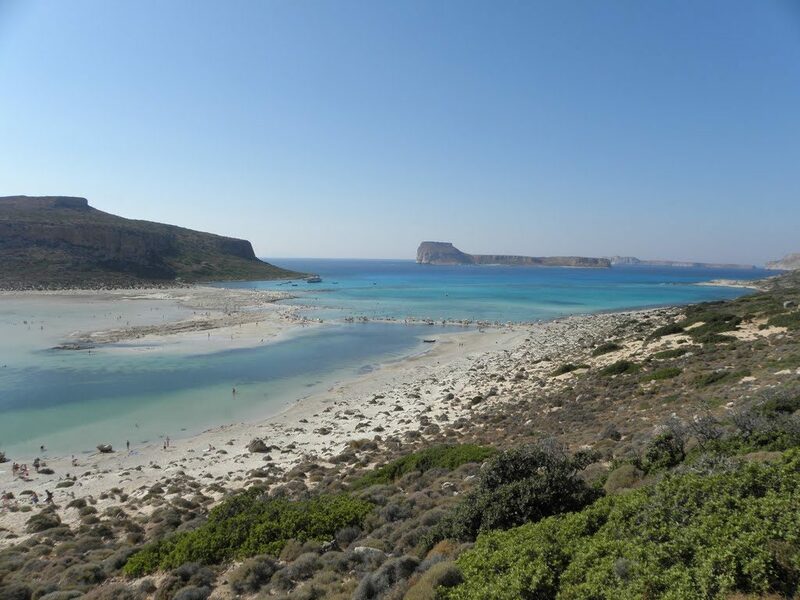 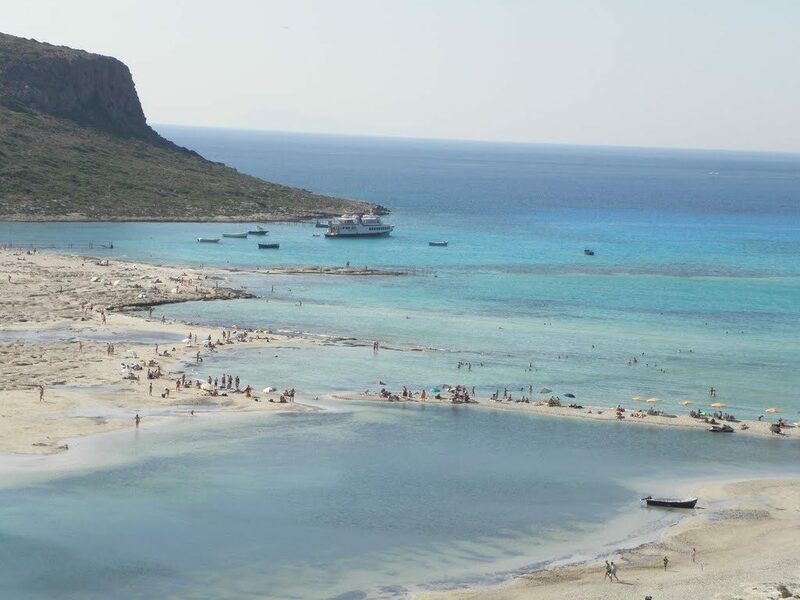 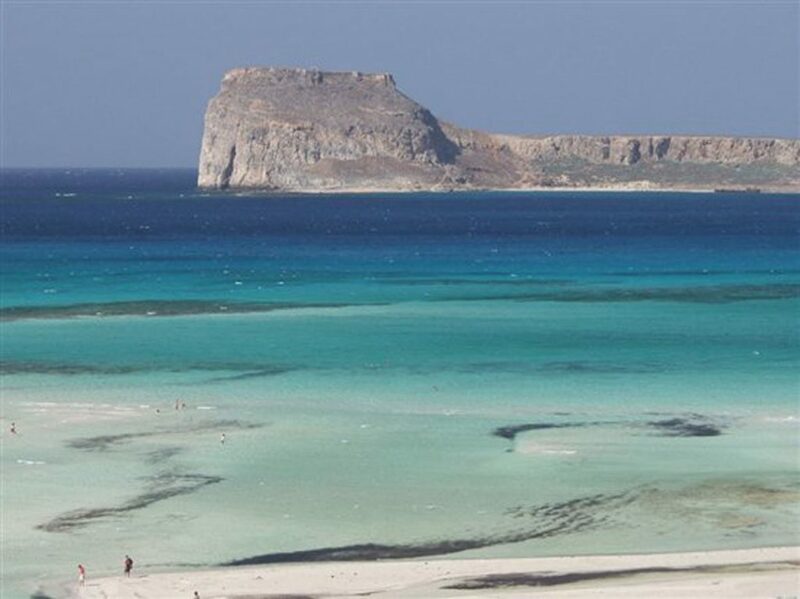 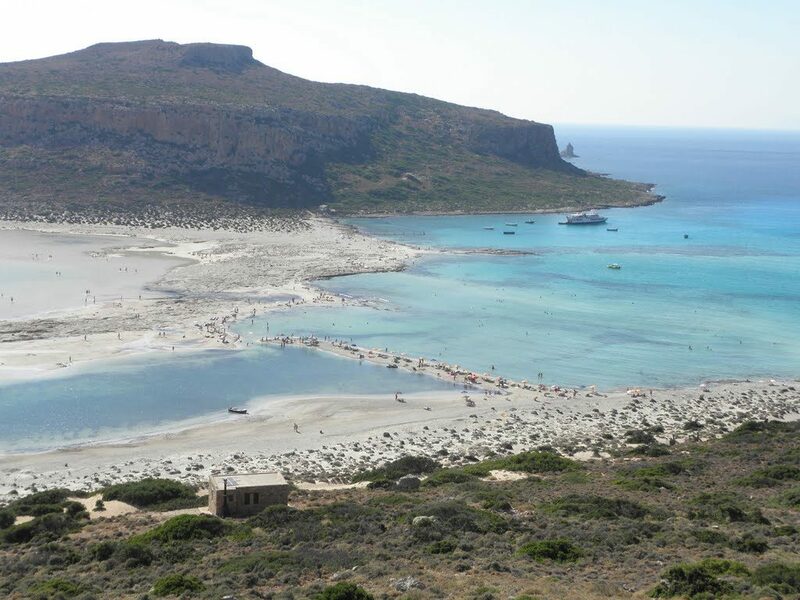 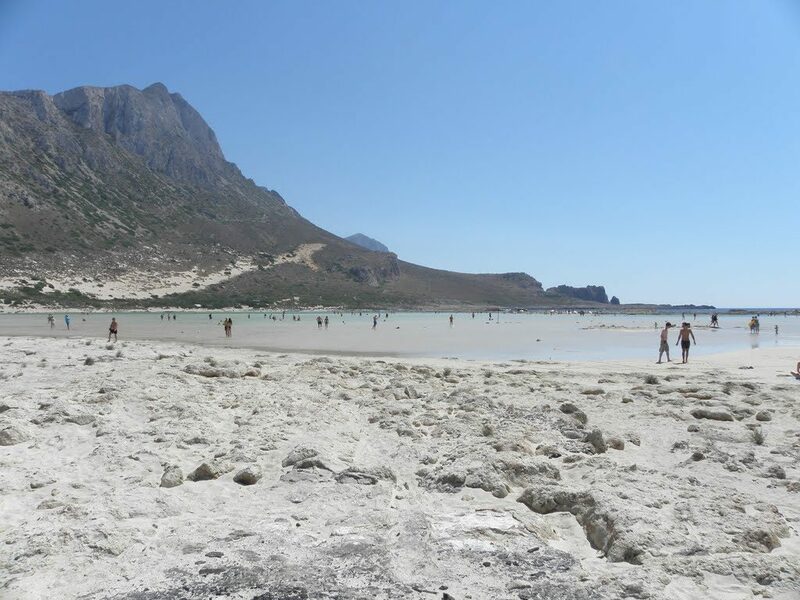 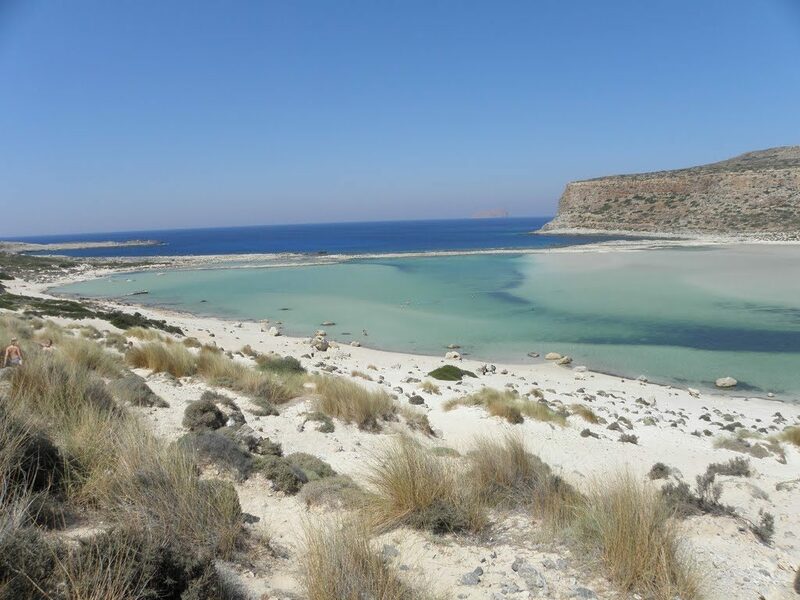 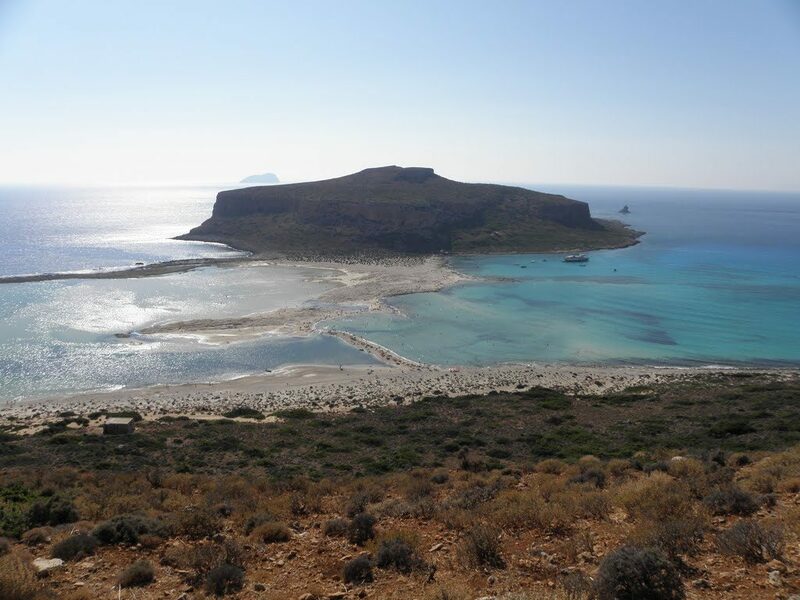 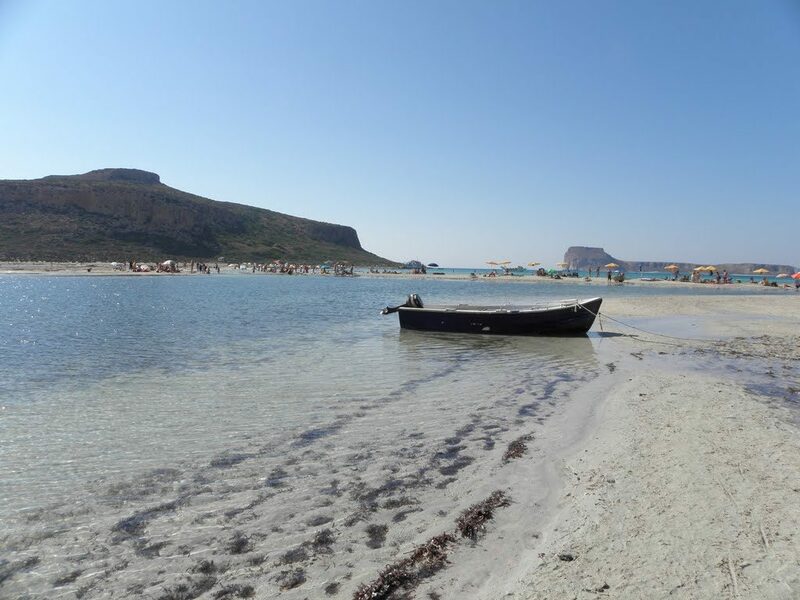 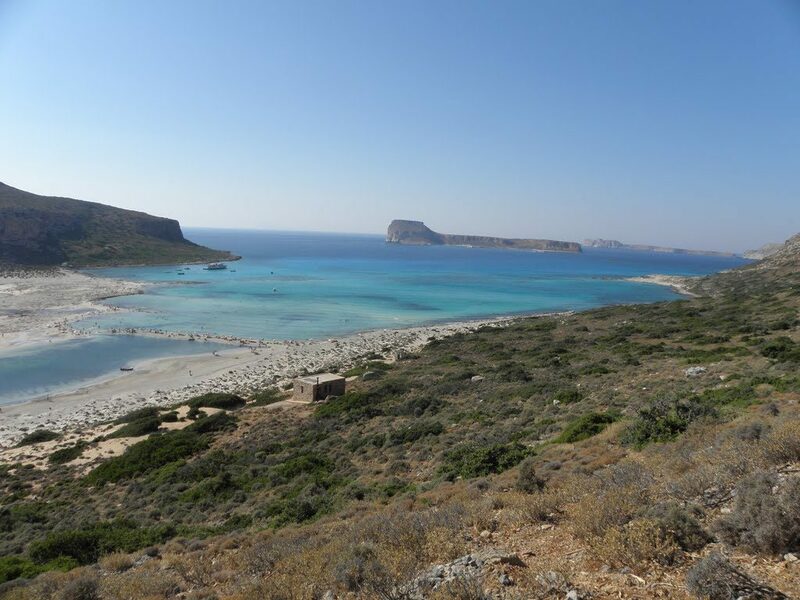 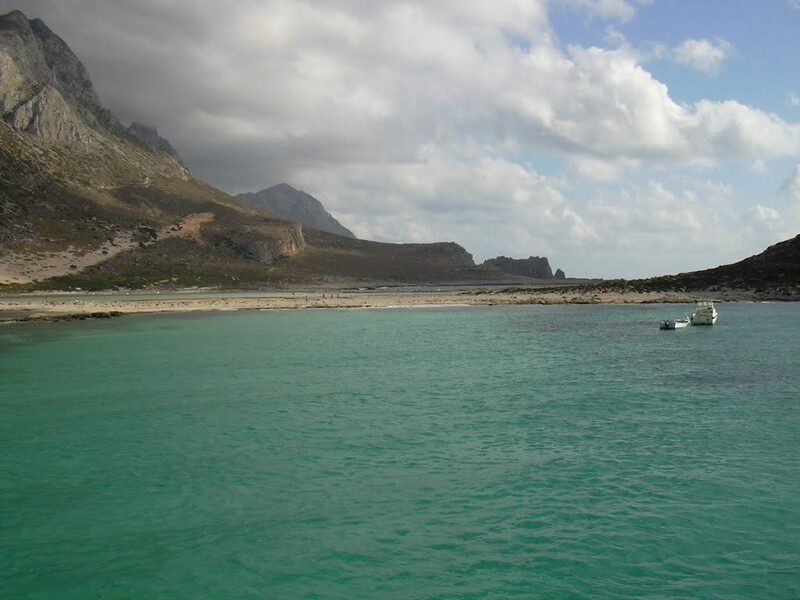 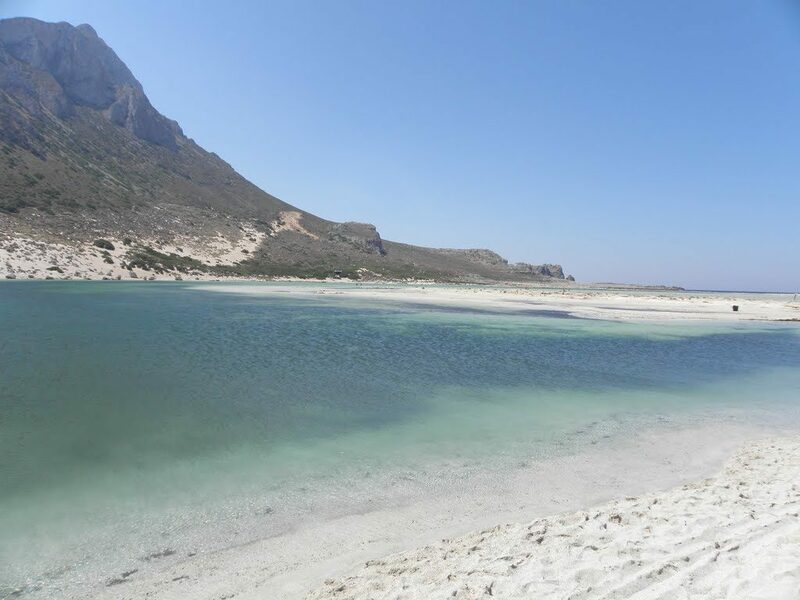 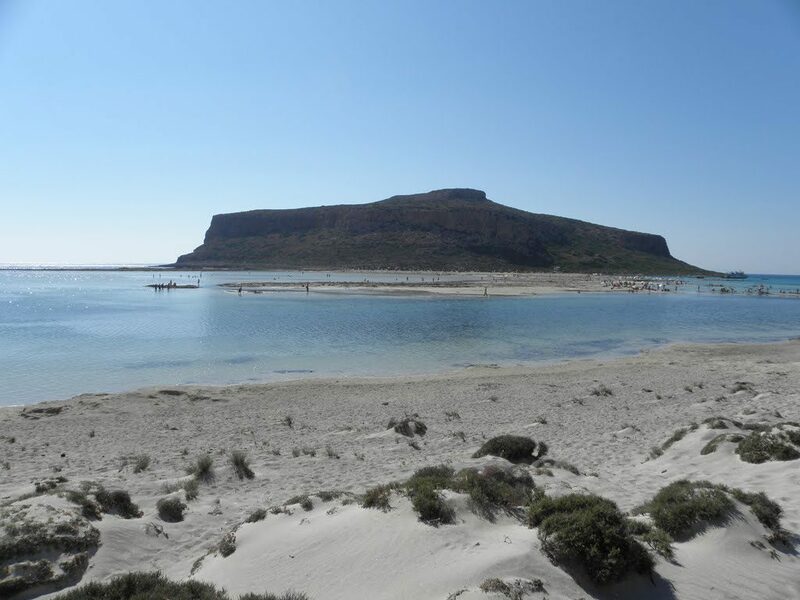 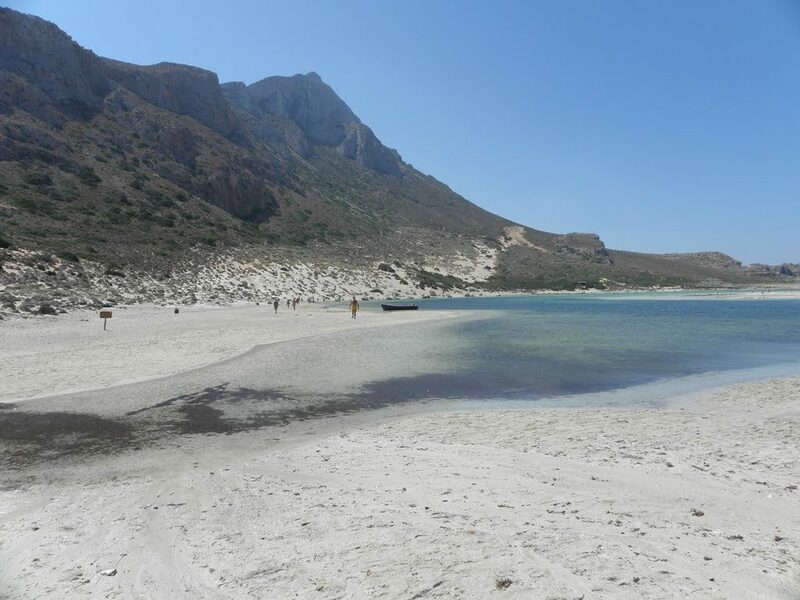 The lagoon of Balos is included in the programme Natura as it has rare species of flora and fauna such as turtles Caretta-Caretta, cormorants, falcons and Mediterranean shags, some of the animals that find refuge there.